Lapsang souchong is a black tea originally from the Wuyi region of the Chinese province of Fujian. It is sometimes referred to as smoked tea (熏茶). 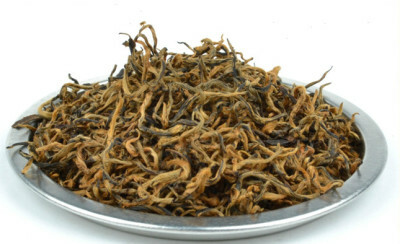 Lapsang is distinct from all other types of tea because lapsang leaves are traditionally smoke-dried over pinewood fires, taking on a distinctive smoky flavour.The name in Fukienese means "smoky sub-variety." 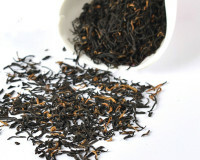 Lapsang souchong is a member of the Wuyi Bohea family of teas. The story goes that the tea was created during the Qing era when the passage of armies delayed the annual drying of the tea leaves in the Wuyi hills. Eager to satisfy demand, the tea producers sped up the drying process by having their workers dry the tea leaves over fires made from local pines. High grade lapsang souchong possesses a taste of dried Longan for the first few brews. Lapsang souchong's flavour is strong and smoky, similar to the smell of a campfire or of Latakia pipe tobacco. The flavour of the pine smoke is meant to complement the natural taste of the black tea, but should not overwhelm it. The unique aroma of lapsang souchong is due to a variety of chemical compounds. The two most abundant constituents of the aroma are longifolene and α-terpineol. Many of the compounds making up the aroma of lapsang souchong, including longifolene, originate only in the pine smoke, and are not found in other kinds of tea. 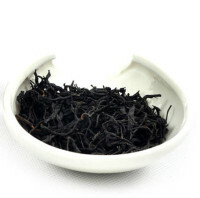 Lapsang Souchong(LS) has had a long history behind it. With more than 400 years of history, it was said that LS is the world’s first black tea. LS was produced as early as during the Qing Dynasty. Dated back to 1604, the Dutch imported LS to the West. It was regarded as a precious medical product and sold at pharmacies. At that time, there was no other black tea in the market. Thus, it was believed that LS is the earliest black tea invented, and Tongmu Village was the cradle of the black tea in the world. The Dutch dominated the European trade in LS until 1669, when the English first imported it on a commercial scale. By the time the English East India Company began trading in tea, the drink was well established at the English courts, where it was no longer valued primarily for its medicinal benefits, but was drunk socially, as an invigorating beverage. According to historical records, in the year 1662, Princess Catherine from Portugal who when was married to Prince Charles had brought along her favorite LS tea to England. Her passion for tea had played the important role to promote the LS in England. LS was treated as a luxury drink in England, France, Dutch and The Netherlands. In England itself, LS is recognized as the representative of Chinese Tea, and it used to serve England’s Royal Family thus it was known as the Royal Black Tea in England. Jin Jun Mei produced in Tongmu village of Wuyishan City, Fujian. Tea garden has superior natural conditions, also the world famous tea Lapsang Souchong tea originated. Jin Jun Mei takes wild species tea bud grown in 1500-1800 meters original ecology of mountain above sea level the as raw material, Lapsang Souchong tea traditional craftsmanship and innovative technology made. Jin Jun Mei picked before the Chun Ming Festival every year, picking the standard is very strict, often use only the bud tip, 500 grams of Jin Jun Mei is about more than 50,000 buds. Production processes of Jin Jun Mei include plucking, withering, rolling, fermentation, drying, etc. High cost, less raw materials, production is low; making Jin Jun Mei was born on a very precious. It is one ne of the highest grade black teas in mainland China. Bai Lin Gong Fu is a type of handmade, specialty black tea from Fujian, China. Bai Lin refers to the village around which this tea is grown, Bai Lin is one of three famous Gong Fu teas produced in the Zheng He district, the others being Tan Yang and Zheng He, both of which are considered lower quality but still worthy of the Gong Fu designation. Gong Fu is also used to describe a special way of making tea, using a small infuser with many leaves and making multiple infusions. Bai Lin Gong Fu has been in production since about 1850. Commercial grades are made using tea from various provinces in China but higher grades are made only in the Tai Mu mountain region of Fuding, Fujian Province..This tea can also be served in the Western way, brewed in a big teapot with milk and sugar or lemon. Originated in the 17 th( at the beginning of Qing dynasty) in Tan-Yang village Fu-An city, and rank first among top three "Min Hong Tea" (Fu jian Black Tea), Tan yang Kung tea, as early as 1915 received a Gold Medal in Panama International Exposition, and it is also the British Royal specially tea, also counted on the British Parliament building design, and it is also available to write to the " Tan yang village" directly from oversea, you will be attracted by its golden yellow liquor at first sight! is made from the young buds of the Fuding Da Bai Cha tea varietal,has a distinctive fuzz of delicate golden-orange hairs covering the leaf bud. selected from the superfine leave buds at spring-picking, and it takes much more times during the production process in order to make sure its high quality, and the quantity is limited every year. Zhenghe Gongfu is one type of congou black tea produced in the south of China. Zhenghe Gongfu is often referred to as clarets because of its full-bodied, winey flavor. In fact, the words of Zhenghe came from the name for Zhenghe county where the Zhenghe Gongfu was originally and mainly produced. The tea production history in Zhenghe county dates back to even one thousand years ago. In Song Dynasty, Zhenghe county mainly produced Ya Cha, one of the then rare teas which was presented to Emperor Huizhong as tribute and so loved by him that he granted his reign title "zhenghe" to the county. 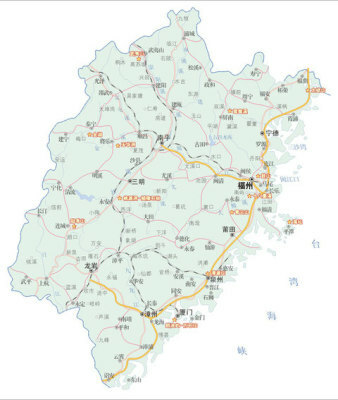 Before that time, Zhenghe county was named as Guanli county. In 1874, tea merchants from Jiangxi province pioneered the production of black tea in Zhenghe county and made a hit. In 1896, the Zhenghe Gongfu made from Da Baicha cultivar became famous and ranked first among the top three congou black teas of Fujian province. Guanyin Hong is the the upstart tea in the tea it is made with Tieguanyin a bud (uniform size) as raw materials, through the typical process of withering, fermentation, drying and refined. Guanyin hong tea is fully fermented in the fermentation process, Tieguanyin tea quality of tea tanning by oxidation generated tannin red the tea color black, red bright color Securinega, and so that the aroma and taste of the tea undergone a subtle change has a unique aroma and mellow taste. Mainly because of the color of dry tea and brew tea in red tone, but there are the Tieguanyin elegant charm, hence the name Guanyin red. made from Da Baicha cultivar became famous and ranked first among the top three congou black teas of Fujian province. Min Hong Gongfu tea/ Fujian Reds is general terms of Zhenghe Gongfu tea, Tan Yang Gongfu tea and Bai Lin Gongfu tea, specialty in Fujian.